Register for this exclusive photography workshop that teaches you how to make unique portraits at night with outrageous burlesque models in Coney Island. July 2013 Workshop Postponed; new dates TBD. Sign up below to be notified when this workshop will be available for registration. Expand your creativity by learning how to make portraits by the moonlit and neon-drenched shores on the beach at Coney Island. Challenge your technical abilities by learning new techniques of mixing flash and ambient long exposures to create stunning, surreal portraits of dilated time and frozen beauty. This is a ground-breaking workshop that explores the boundless possibilities of making portraits during long exposures at night. Imagine having minutes in which to craft your scene instead of moments. Expand the length of your exposure time and use a combination of flash, ambient and continuous light sources to create stunning, surreal, arresting art. This full-moon photo workshop experience will include real NYC Burlesque dancers clad in sizzlingly provocative costumes. Construct surreal portraits by the seaside as we work through one-light, two-light and three-light setups, light painting, soft water and more time-bending techniques that will take your portraits to another level. Are you comfortable with combining multiple light sources and balancing ambient long exposures with flash and other light sources but have not tried making portraits at night? Or have you tried and given up in frustration? If yes, this workshop is highly recommended for you! Join Gabe and Matt for a comprehensive introduction to the rarely-taught and groundbreaking pursuit of night portraiture. This intense, two-night on-location shoot to will teach you the methods of making beautiful portraits in the absence of daylight. Learn how to make portraits that will blow away your portrait clients and expand your creative toolset. Friday will be a 2-hour lecture and 3-hour outdoor workshop on the beach and boardwalk with models going over the basic methods of arresting a portrait subject with flash, building a beautiful portrait light, and balancing this with a base ambient exposure plus adding creative motion movements. Saturday will be an on-location shoot on the beach at Coney Island with real Burlesque dancers clad in sizzlingly provocative costumes. You will get to shoot during “magic hour” and into the evening. Construct surreal portraits by the seaside as we work through one-light, two-light and three-light setups, light painting, soft water and more time-bending techniques that will take your portraits to another level. Join Gabe and Matt for an intense, one-night on-location shoot to learn the methods of making beautiful portraits in the absence of daylight. We call it "night portraiture". Expand your creative toolset by adding a new way to make "must-have" eye-catching portraits. Sounds fun, right? Why not sign up to be notified when this workshop will go live? Gabe and Matt have been teaching Night Photography together for over three years on locations ranging from Bannerman Island on the Hudson River to the shores and alleyways of NYC. Over the last year, Matt's project NIGHT PAPER has been breaking new ground by combining the dilation of time in long exposures at night with portrait subjects clad only in surreal cut paper fashions. In addition to this, he also produced an entire burlesque show, PAPER BURLESQUE, in May, 2013 at the Slipper Room in NYC where seven performers took and tore off custom paper fashions for a live audience while he photographed it with three cameras for the NIGHT PAPER project. The project is about to enter its second year and is destined to be a coffee table book and more exhibitions. PAPER BURLESQUE will become released as a film later in 2013. Gabriel is truly the essence of the consummate teacher - patient, well-versed in technology and techniques. On top of that, he is a gifted fine art photographer who specializes in night photography, alternative process and pinhole photography - in essence, the art of the long exposure. 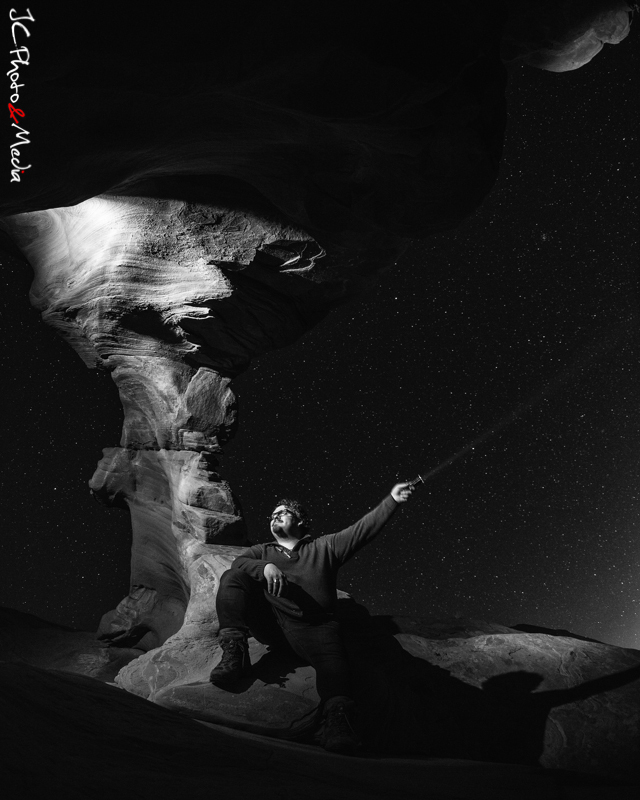 Teaching workshops around the country from shore to shore, Gabriel is spreading the love and knowledge of night photography to many. He is currently working on authoring a introductory book on Night Photography to be published by Peachpit Press.